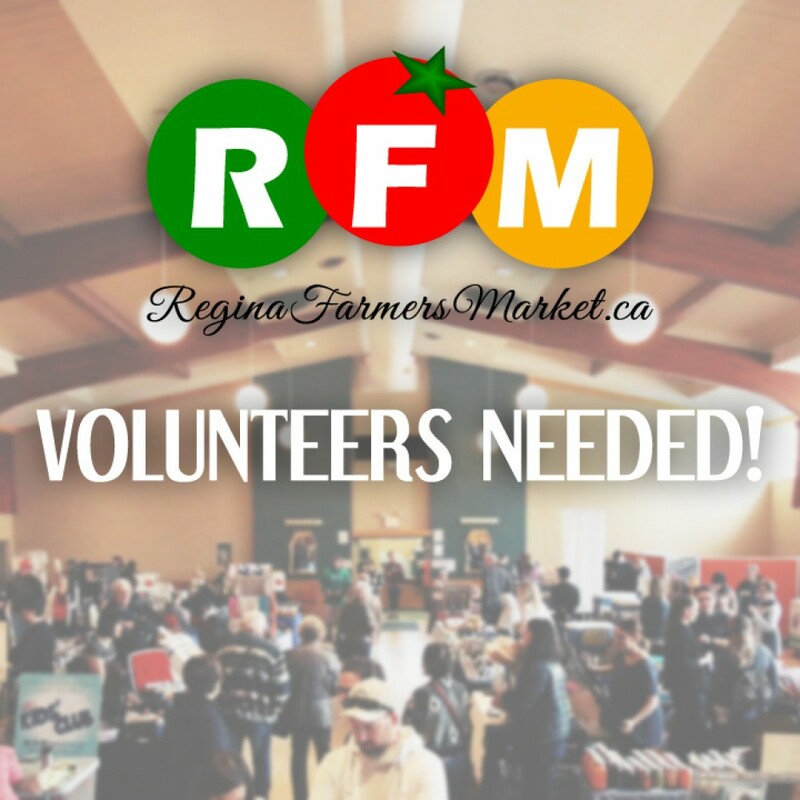 The Regina Farmers’ Market Co-operative (RFM) is seeking volunteers to help out during indoor farmers’ markets. Our indoor markets are located at the WA WA Shrine Centre (2065 Hamilton St, Regina), and take place on Saturdays from 9:00 am to 1:00 pm until December 17, 2016. Be part of a vibrant, exciting farmers’ market community! Interested parties should submit a letter of interest outlining your relevant experience and why you are interested. Please include contact information for two references, and send to.